What a fun and exciting day! I get to run a marathon with Troy and 17 of my friends. Unfortunately 5 friends are missing because of injury. 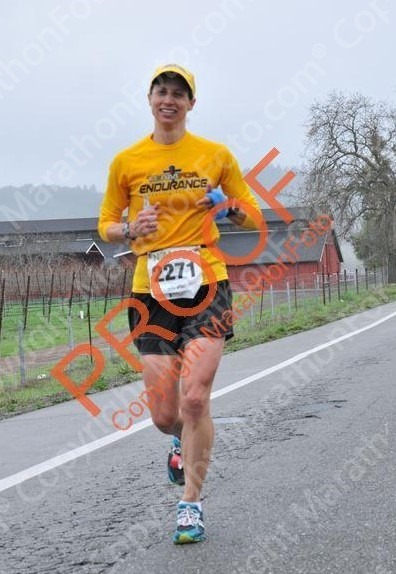 Thanks to the Napa Marathon organizers, all of them are able to move their races to next year! This all started when I put out a challenge months ago called 40 @ 40. The goal was to inspire 40 people, including Troy and myself, to run a marathon. Today marks the first step and there will be 21 more folks completing a marathon this year while I’m 40. After everyone finishes, I have special 40 @ 40 “finisher” hats along with cake pops made by my buddy Karen who is one of the 17 today. I’m also excited to see all the supporters on course. There will be spouses, kids and parents. My cousin Ann and her husband Steve will also be there. They flew up to cheer us on and we’ve had so much fun hanging out. They are part of the 40 @ 40 crew and will be doing the LA Marathon next week with their daughter. This is a good opportunity for them to see how a marathon looks and works. Most of the group meets up at the start for a picture and prayer. Some folks are stuck in the bathroom line but we pray for them. I can tell there is excitement and great anticipation in our group! I line up with Karen and Troy2 (my Troy and Troy Outman). Another 40 @ 40 friend, Rich Alesci, comes up to say hi. He's here on little sleep because his wife, my college roomie, had a baby 3 weeks ago. But he’s still hoping for a sub 3hour and I’m certain he can do it. I’m planning on doing a 7:42 pace, which if maintained will get me under 3:24. I know I have the ability to do that, but are my hamstrings ready for it? After the National Anthem is sung by the 75-79 & 80-84 age group marathon record holder, it’s time! Ready, set, go! We are off! Troy2 takes off but I know I’ll be seeing them for a few miles. As usual it feels good and even easy but I know that will change later. 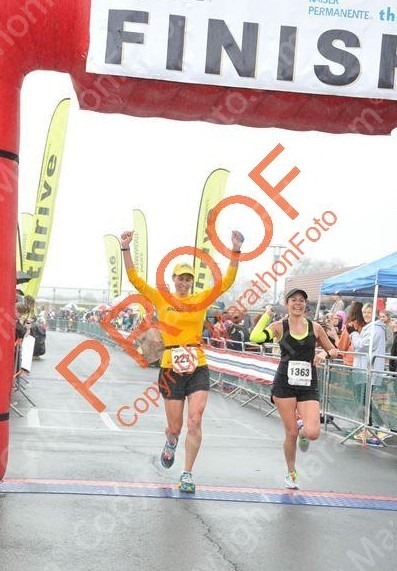 Karen starts out with me but decides to pull back and run her goal pace…smart to stick with the plan! The weather is perfect, cool and overcast. At 5K, I’m averaging 7:45. It’s not 7:42 but I think that was a bit unrealistic anyway. It seems like many are moving past me but I don’t panic because it’s just the beginning. My hamstrings feel tight and are hurting some. Will they hang in there? At 10K, I’m still averaging 7:45 despite a good climb on the last mile. Troy2 is long gone and I’m praying that they are feeling good. I see Season Eckart’s dad and wave. He’s waiting for his son-in-law Scott, who’s part of the 40@40. I am looking for more familiar faces at roads that make a T with the course. I know there are many waiting down the road! I see a girl in black ahead of me and she’s definitely keeping the same pace. I catch up and try to stay with her. Another chatty girl comes up and asks us if we are going for 3:30. I say “yeah” because I don’t want to presume that 3:25 is going to happen. But maybe I’m misleading her? I wish I had said 3:25 now but better just keep focusing on what’s ahead. At the Half Marathon, I’m averaging 7:46 which is still good. My hamstrings are starting to get really sore. This is going to get harder! I take my first gel. I see Ann and Steve and give them a big smile and high five. I also see Season and her kiddos and wave to them as well. At 16 miles my average is 7:48 and I’m in trouble. My hamstrings hurt so bad along with my right calf that I’m unable to push the pace and just try to go the best I can. Unlike the Davis Stampede 1/2 where I was getting frustrated and focused on myself, I am looking to God and trusting in Him. It’s out of my control and I just need to keep a good attitude. I see Stephanie Holloway’s family and Karen’s family and give them smiles and high fives. I also see some photographers and I give big smiles to them too. I know God is proud of me and I’m giving my best. Pretty soon Karen is back with me and looking strong. I tell her about my hamstrings but not to wait for me. I want her to meet her goal and who knows, maybe we’ll finish together. She says she’s praying for me and continues on. At 18 miles my average is at 7:51. I take another Hammer gel. The pain continues and I’m getting passed by groups of runners. I try to latch on to some folks but cannot make it stick…I’m at the mercy of my legs! I start praying hard and calling out to Jesus in a whisper…as a song I love says, “just say Jesus, there is power in the Name”…I repeat Jesus, Jesus. I also tell him to let the other runners get their goals over my own. I can see Karen up ahead and am praying she’s feeling good. Every so often my legs feel like they can handle a push and I’m able to pick it up. Mile 19 and 20 are like that but then the pain ratchets up. I know that we turn off the Silverado Trail soon and I’m thinking it’s at mile 20 but it comes and goes. Finally, after mile 22, I can see we are turning. I’m glad that I have less than 4 to go! I’m ready to be done! Ann and Steve are waiting for me! It’s a great boost. I smile big and wave. As I turn, I feel like I can push again. It’s painful but I can push. Thank You Jesus! Karen seems to be getting closer…it would be cool to catch her! At mile 24, I’m over 8 min pace. I don’t mind because I can still push! I turn another corner and see Troy Outman walking. Just before I catch him he starts running and I tell him good job. We run together for a few strides and I encourage him to hang in there. Mile 25, Karen is getting closer. I make another turn and she’s right there but I doubt I can close the gap in the last mile. I shout “go Karen go”. I hope she can hear me! The finish is so close and my legs are so done but the Lord is giving me a boost so I can keep pushing. 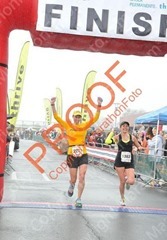 I get to the finish chute and a girl comes up behind but I dig down and sprint ahead. I cross the line and smile…thank You, Jesus! We did it!